Value engineering can be a costly mistake when done improperly. I have written previously about why value engineering doesn’t work for mechanical insulation, and for the most part it is still true. The goal of value engineering is to achieve the lowest possible lifecycle cost while still staying consistent with the performance and safety requirements of the project. However, when mechanical insulation is value engineered, the original goals are not able to be met. 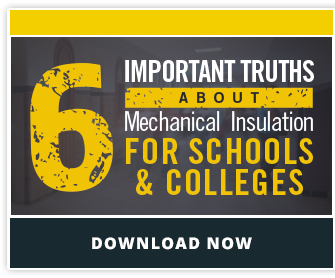 In his article on the Johns Manville mechanical insulation blog, Mechanical Insulation Project Manager Lance Bonin provides practical examples of how misconceptions about value engineering, and the idea that one product can be interchanged with another, can result in not only decreased system performance, but significant energy loss—and, by extension, money loss. Read the full article on the Johns Manville website.